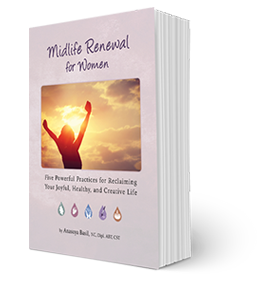 I continue to celebrate the release of my new ebook: Midlife Renewal for Women by offering a complimentary Midlife Vision Consult. Having these heart to heart conversations with several women lately has made me realize again just how important it is to cultivate a positive vision for our midlife. In the last conversation, I felt the frustration of a talented woman who noticed there was little support for perceiving midlife in a positive light. She was taught that menstruation was The Curse, and midlife was Hormone Hell. It’s like we live in a societal pool of negativity about our feminine body cycles that contributes to us feeling stuck and anxious. We certainly do need to balance our hormones to feel our best, but there are also powerful gifts available to us in midlife that we previously did not have access to. The thing is, If we don’t break away from modern society’s negativity about being a woman who is aging, I fear that we will miss out on harvesting the deepest wisdom of our unique life lessons. That would be a huge loss personally, and for our greater community. 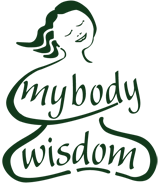 Since 2000 when I first started teaching about women’s health, I’ve been committed to helping women receive the nourishment they need to balance their hormones, release frustrations, and have a healthy, joyful and creative midlife. If you are somewhere in the long continuum that is your middle years, and you are not experiencing the vitality and fulfillment you want, sign up for a Midlife Vision Consult. We will talk about your current frustrations and what your life would look like if you were truly anchored in a vision of your own healthy, joyful and creative midlife. 1) Fill out a brief form here. This is complimentary for a limited time. I am so looking forward to having a conversation with you, and hearing your midlife story.